For years now, gaming companies like Riot, Blizzard, and Twitch have been fighting online abuse and harassment in their own ways, to mixed results. Now they’re trying something different: Working together. The Fair Play Alliance is a coalition made up of over 30 different companies, including Riot, Blizzard, Twitch, CCP, and Epic, that aims to share research and lessons learned around gaming communities in the hopes of cutting down on “disruptive behavior.” The goal, Riot senior technical designer Kimberly Voll told Kotaku, is to create a consistent set of behavior standards between companies and a common understanding of the underlying issues that cause poor behavior in online communities. The hope is that developers won’t have to start from square one anymore when creating online games. 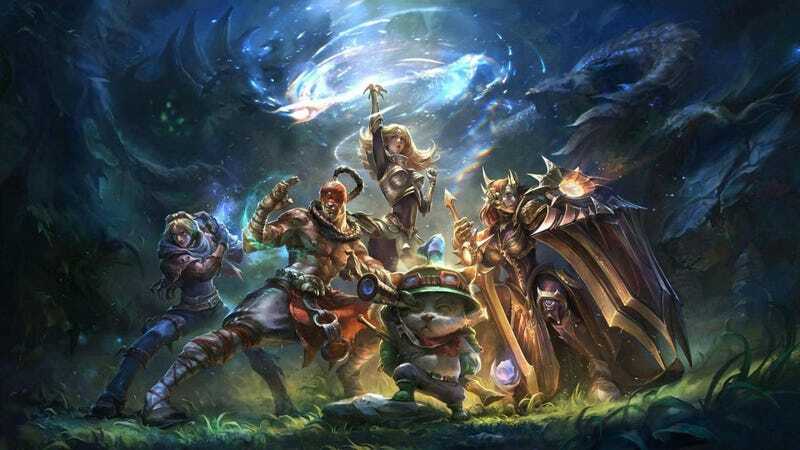 Voll acknowledged that Riot has a long and storied history of mistakes in this arena, but that’s kind of the point: Games like League of Legends exemplify how difficult it is to bring communities back from the brink. Ideally, the Fair Play Alliance will allow other companies to directly learn from each other’s mistakes without stumbling into the same pitfalls. “There’s a lot to share,” said Voll. “And we’ve done a lot of dumb things. We’ve learned a lot.” She added that Riot’s player behavior team, once among the more prominent voices in this discussion, stepped back from the public eye a couple years ago because they realized that their own efforts weren’t quite hitting the mark. “Players were increasingly telling us they were unhappy,” she said. “That was us going sleeves-up and trying to figure out what was happening.” The team emerged with a new focus not just on disruptive players, but on the ways competitive games can make assholes of us all. Now they want to share what they’ve learned with the rest of the class. Image: Overwatch (by developer Blizzard, another member of the Fair Play Alliance). It’s a solid first step, but it seems like The Fair Play Alliance is still working to secure a foothold beyond that. I asked Voll what lies ahead, and she joked that while the Fair Play Alliance has a website, there are not many other tangible elements to discuss just yet. It’s still working to solidify things like shared resources, and a system that’ll allow developers to reach out to knowledgeable individuals when they’re struggling to solve abuse- or harassment-related issues. In other words, the Fair Play Alliance is only just getting off the ground. The organization’s loftiest goals, like creating a consistent set of standards and rules across multiple multinational companies, will also require a lot of differently-shaped puzzle pieces to click together. “There are a lot of challenges when you’re trying to determine what good behavior looks like—or at least what bad looks like—on a global scale,” Voll said. Basic respect between individuals, she added, seems like an agreeable goal to aim for, but then you’ve got to consider what mutual respect even looks like in different cultures and groups. Close friends, for example, might hurl gobs of vile trash talk at each other, but they don’t mean it. The same verbal interaction between complete strangers would probably constitute a worst-case scenario. Or maybe not. Context is hard. But there are also benefits to forming a collective that includes companies with so many different origins and priorities. They can cover each other’s blind spots and, hopefully, hold each other accountable. I mentioned notorious League of Legends streamer Tyler1 to Voll, as an example of Riot and Twitch’s punitive systems failing in ways neither company saw coming—ultimately turning a problem child into a star instead of teaching him a lasting lesson—and Voll said she thinks communication via the Fair Play Alliance will stop something like that from happening again. And if companies like Riot and Twitch don’t see eye-to-eye on players like Tyler1? Voll thinks that might end up being useful, as well.